Hi there!!! I was SO excited when my new stamps from Stamping Bella arrived in the mail this week!! It was a super happy mail day for me. 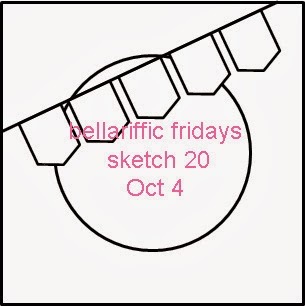 This week, Bellarific Friday is all about keeping your card monochromatic. I really tried, I promise.... I kept the DP and accessories monochromatic but I just couldn't do it, those darn prismacolor pencils were just popping into my hand begging to be used. 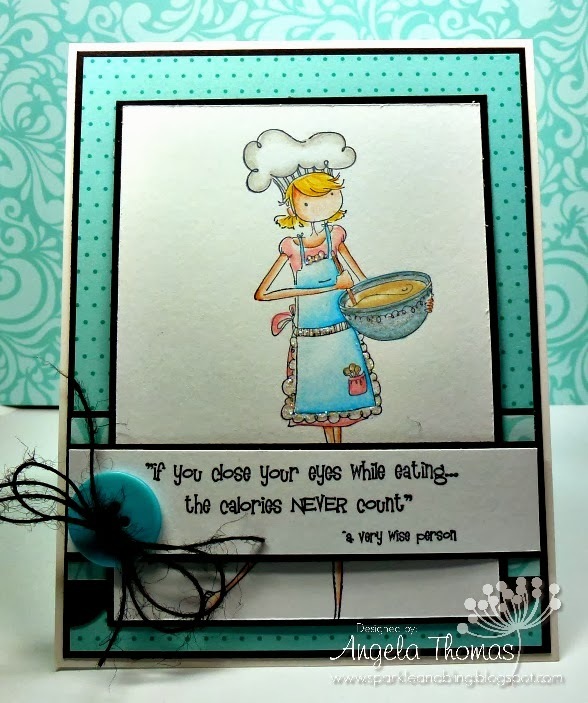 For my card, I have used Uptown Girl Chanel the Chef which has been colored with Prosmacolor Pencils and Gamsol. I then used a sentiment from the Uptown Girl Isabelle Loves her Ice Cream. 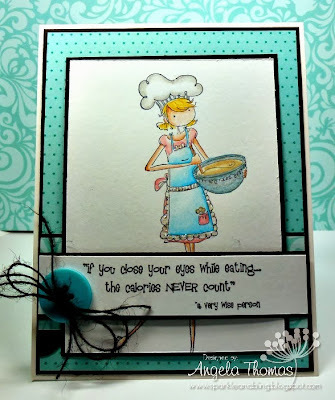 I love how you are able to mix and match the sentiments to another set. Em's a smart one, I tell ya!! The layout for my card is the current Seize the Sketch. Next week's challenge is a sketch and my brain is already thinking about it.